This page is a preview of the posts that you can see on this blog’s home page; it will help you to uncover the vibrant artistic spirit of a beautiful renaissance town, which, luckily enough, is still alive and throbbing like the fire under the ashes of its glorious past. 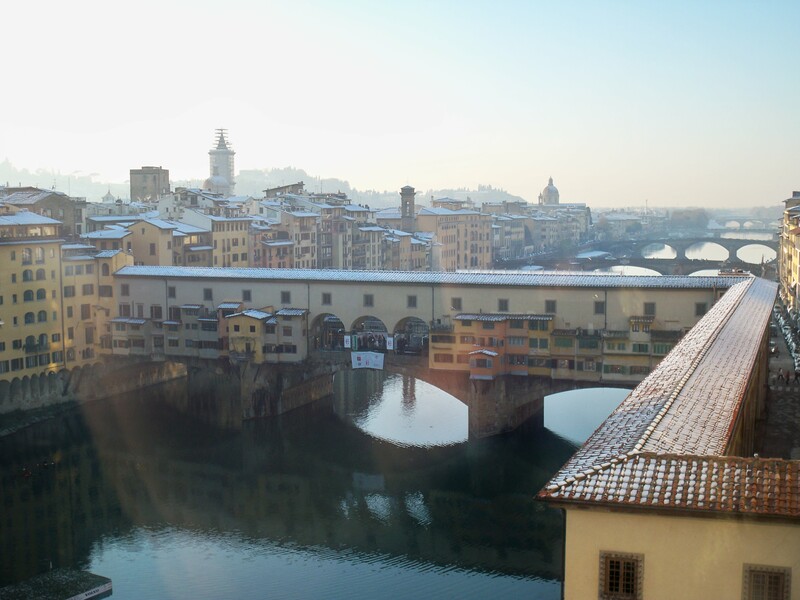 A very extraordinary setting to an extremely queer display: Fuoriluogo TO GO, on show at the Scuderie of Palazzo Corsini in Florence 16th – 19th December 2010. 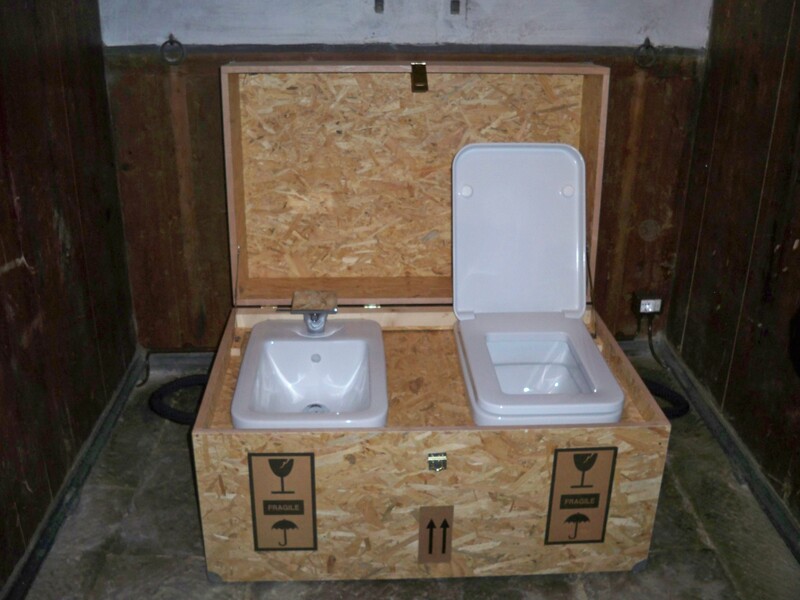 It’s not every day that you step into the Palazzo Corsini’s horse barns only to bump into an Exhibition of crazy and colourful WCs and Bidets: 18 artists/designers/architects were asked to re-interpret an “odd couple ” made of a wc and a bidet, through innovative decorations, design solutions and creative transformations, though their practical use stay untouched: in order to create exclusive design products ready to be installed in your luxury apartment. 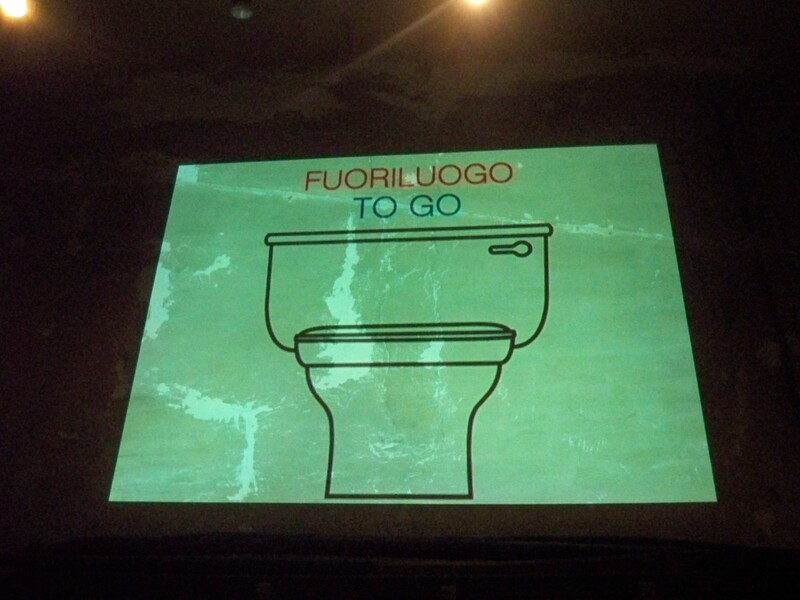 «Fuoriluogo TO GO» is the IV edition of a commission project started in 2008 (the first show was held in Florence in the late XV century Palazzo Strozzi). 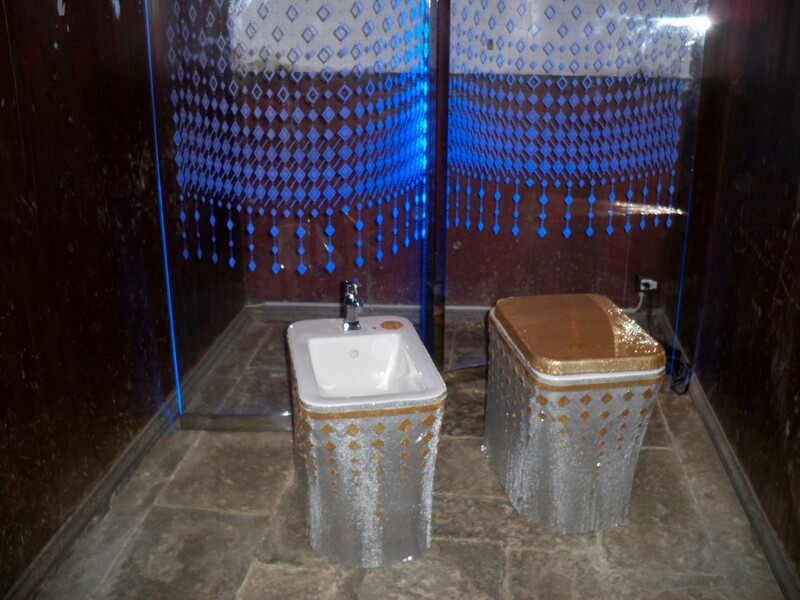 WCs as works of art 100 years after Marcel Duchamp’s urinal? Check this page soon for more details! 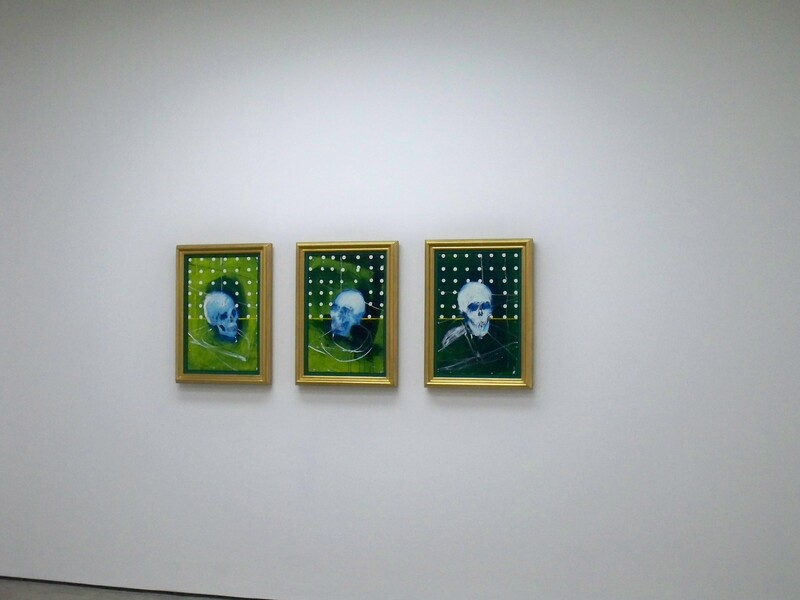 The pictures shown below were taken about a year ago at the White Cube in London during my visit to Damien Hirst’s Exhibition “Nothing Matters”, on show between 25 November 2009 – 30 January 2010. The show presented 19 new paintings by the artist including new work depicting his famous Diamond Skull, more than 2 years after For the Love of God’s creation. I find it very courageous to put “For the Love of God” on display in Palazzo Vecchio, it’s just that trends, taste and new ideas in the contemporary art realm run much faster than one can figure out down in Florence and this piece is likely to be already in the books of art history: I do hope that administrators and curators would take the chance to explain the developments occurred in the last 3 years through Hirst’s and many others’ artworks, as I suspect that the audience in Florence needs a good update rather than a flash-back into the past! Damien Hirst’s Diamond Skull will be on display in Florence as from November 26 2010 until May 1 2011. 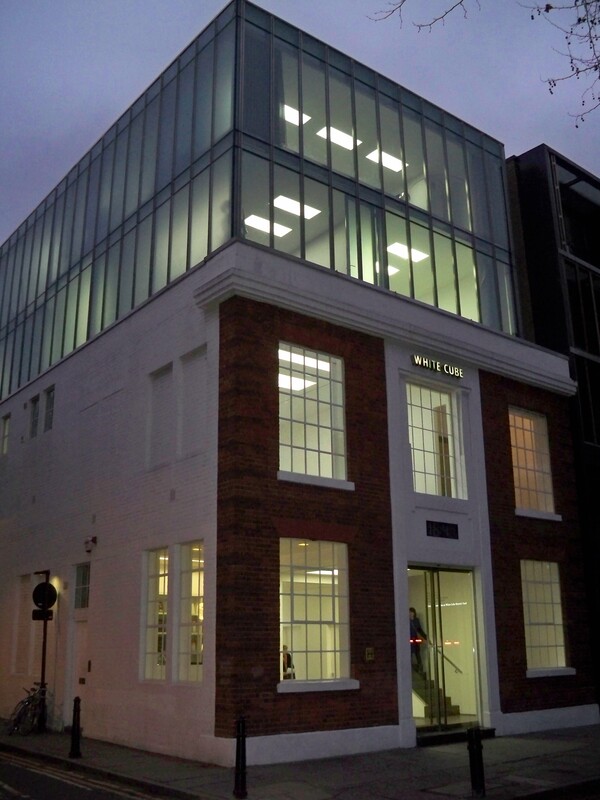 Hirst maintained that the work was sold on 30 August 2007, for £50 million, to an anonymous consortium. Allegations were made that he failed to find a buyer, then Hirst claimed he had sold it for the full asking price, in cash, leaving no paper trail. Quante mostre che hai fatto, cugina!